Got bed bugs? Rest assured that the technicians at Mariners Pest Control are expert at bed bug inspection, bed bug treatment, and bed bug elimination. Bed bugs, bed-bugs, or bedbugs are parasitic insects of the cimicid family that feed exclusively on blood. Cimex lectularius, the common bed bug, is the best known, as it prefers to feed on human blood. Bed bugs (Cimex lectularius) are small, flat, parasitic insects that feed solely on the blood of people and animals while they sleep. 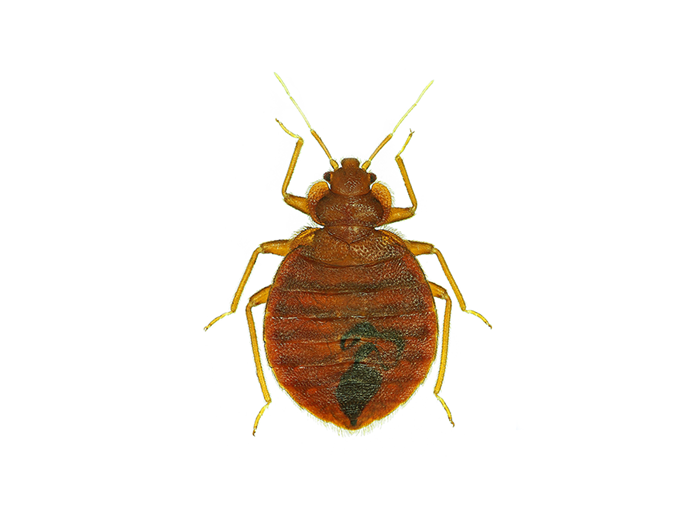 Bed bugs are reddish-brown colored, do not have wings, and can live several months without feeding on any blood. Bed bugs are found across the globe. Although bed bugs have been traditionally seen as an issue in developing countries, bed bugs have been spreading rapidly across the United States. Bed bugs have been found in five-star resorts and multi-million dollar homes. Their presence is not determined by the cleanliness of the living conditions in which they are found. Bed bugs are experts at hiding! Their flat bodies allow them to fit into small spaces and stay there for long periods of time. Bed bugs are usually transported while traveling, hiding in the seams and folds of luggage, overnight bags, folded clothing, bedding, furniture and anywhere else they can hide. Yes, we use natural products that have been shown to be safe for indoor use, including in the presence of family and pets. Depending on the extent of the infestation, bed bugs can also be treated by whole room heat treatments rather than an insecticide treatment series. Discovering bed bugs in your home can be stressful, as bed bugs can multiply quickly. During the last two decades, bed bugs have made a comeback nationwide, and increased domestic and international travel has contributed to the rise in bed bug infestations. In most cases, bed bugs have hitched a ride in your luggage or other personal belongings while traveling, or even simply being out and about around town. Early detection of bed bugs is critical to help prevent a larger infestation. 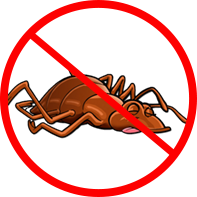 Once bed bugs are indoors, bed bugs can be extremely difficult to control without an experienced bed bug specialist. Mariners Pest Control can identify the scope of the bed bug infestation via a free bed bug inspection of your home. Bed bugs can be sneaky and hard to find, but the technicians at Mariners Pest Control are trained to identify the evidence. Initial inspection includes examination of the entire home including furniture, beds, rugs, linens and within cracks and crevices. Upon inspection for bed bugs, the experts at Mariners Pest Control will recommend the best course of action for bed bug treatment if a bed bug infestation is confirmed. Bed bug treatment options can vary by degree of infestation and personal preferences for bed bug treatment. Bed bugs can be treated by whole room heat treatments and/or a bed bug insecticide treatment series with the goal of eliminating the bed bug infestation with as little disruption to your home life as possible. In order to best assess your bed bug treatment needs, please call 888-945-2847 or fill out our contact form for your FREE bed bug inspection. Bed Bugs got you scratching? Bed Bugs? Don’t Panic…Call Mariners! Mariners Pest Control is the right choice to rid your home of bed bugs! Call us today at (888) 945-2847 or fill out our contact form to schedule your FREE bed bug inspection. We service Orange County, San Diego County, Los Angeles County, Riverside County, and San Bernardino County.